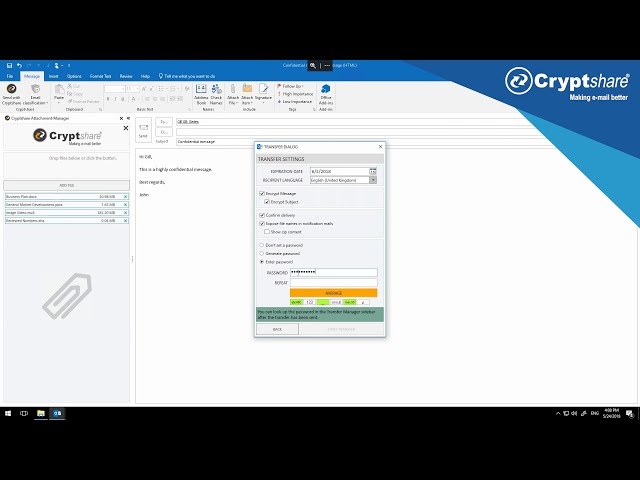 New functionality for sending encrypted messages and large files in a very familiar environment: An interface with a user centered design that makes secure exchange of information easy. A revolutionary form of encrypted e-mail where everyone inside your company and correspondents outside can transact with you securely. 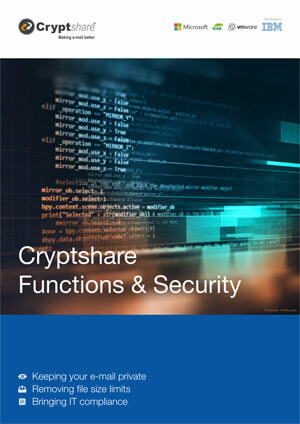 Cryptshare for Outlook will lift your organisation’s communication to a whole new level of security and usability. 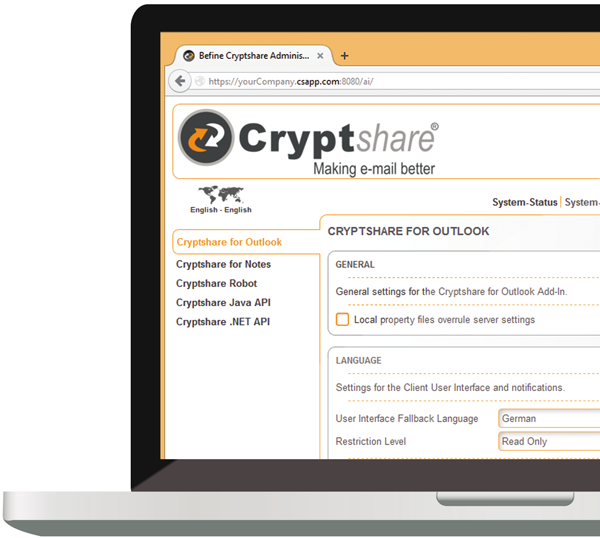 Download the upgrade now and experience how Cryptshare Server combined with our Outlook add-in makes your e-mail better! Minimum administrative effort required - no need to set up user accounts, exchange, install or maintain certificates, and transferred files will be deleted automatically by the system.